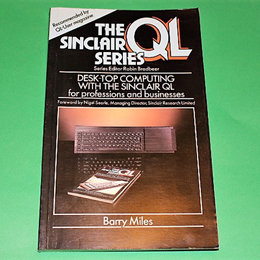 Shows what can be achieved in business type computing using the Sinclair QL, covering the four software packages supplied with the computer - QL Quill for word processing, QL Abacus for financial calculations, QL Archive for database management and QL Easel for business graphics. The book assumes no prior knowledge and provides an excellent introduction to desk-top computing on the QL. A 188 page paperback in excellent condition.